If you suffer from diabetes, managing your blood sugar levels isn’t the only thing you’ll need to work harder at in order to stay healthy. As your family dentist in Vancouver, Dr. Nelson wants individuals with diabetes also have a higher risk of suffering from oral health problems due to the disease’s ability to impact how effectively your body fights harmful bacteria that grows in the mouth known as plaque. Fortunately, individuals with diabetes can still successfully manage their oral health by taking a few extra precautions. Since individuals with diabetes have a higher likelihood of developing an oral infection, you need to schedule regular appointments with Vancouver dentist, Dr. Dale Nelson. Make sure to inform Dr. Nelson of your diabetes, and tell him of any medications you take to help control the disease. In addition to providing oral health cleanings that help to protect and strengthen your teeth, Dr. Nelson can also provide you with tips on how to properly care for your teeth at home as a diabetic. 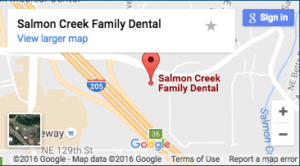 Depending on the current state of your oral health, Dr. Nelson recommend scheduling appointments every three months, instead of the usual six.